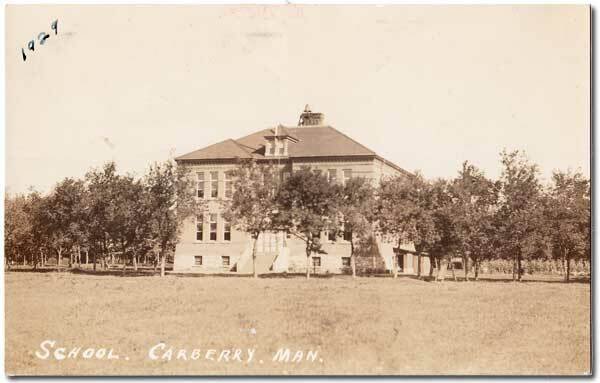 The Carberry School District was formally established in July 1881, on First Avenue in the Town of Carberry. A two-storey brick structure was erected here in 1895, on a design by Brandon architect W. H. Shillinglaw, using brick from a brickyard at Sidney. 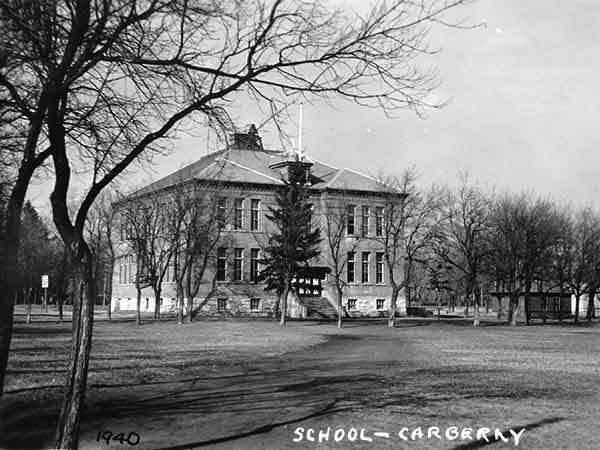 In January 1962, it became Carberry Consolidated School when it consolidated with several surrounding rural schools, including Linwood School No. 641, Melbourne School No. 234, Pleasant Point School No. 267, Prosser School No. 2040, and Stinson School No. 325. 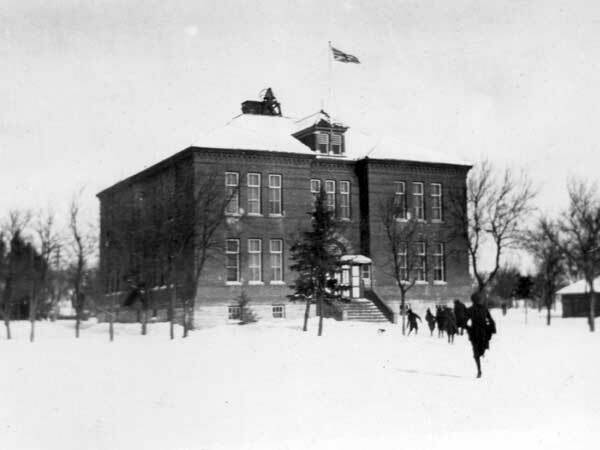 The building was demolished in 1964 and replaced on the same site by the present R. J. Waugh School. 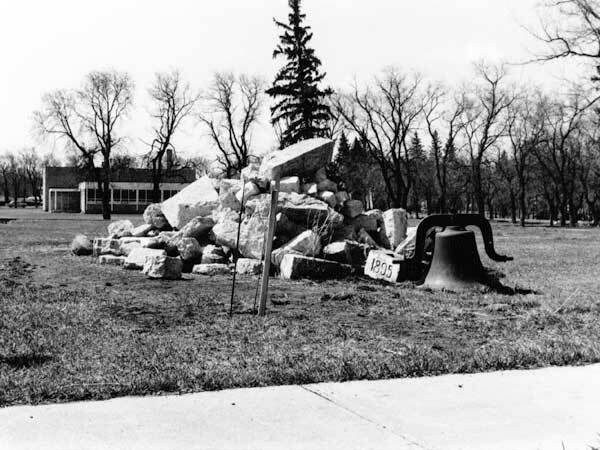 A monument on the school grounds was erected in 1974 by Willard Switzer, the last surviving student of the original school. 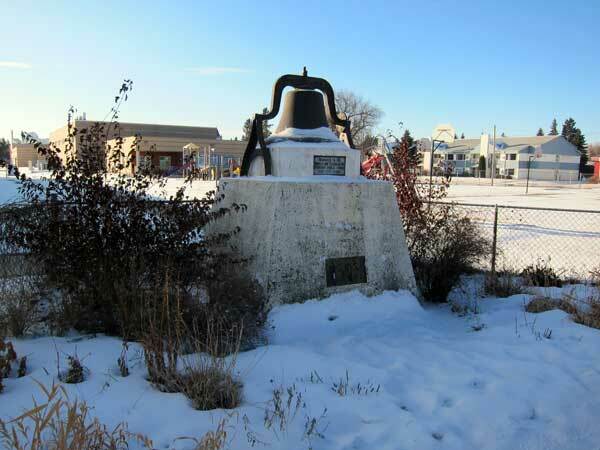 It preserves the cornerstone and roof-top bell from the school building. 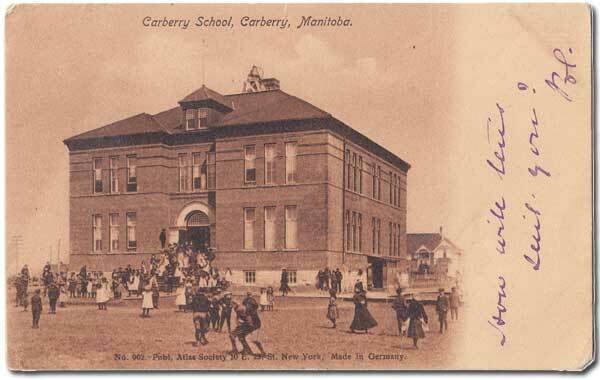 Among the teachers who worked at Carberry School were Thomas Laidlaw (1890s), Garnet M. Morrison (late 1930s), Wilfrid B. “Wilf” Book, and Penny Ham (1960s). GR8461, A0233, C131-1, page 41. Source: Archives of Manitoba, George Harris Fonds, Acc. 1979-141, P7454, Album 21, Page 21. Source: Archives of Manitoba, Architectural Survey, Carberry 23. “Teachers at the convention,” Brandon Sun, 15 October 1920, page 6. “Carberry, Man,” Western Canada Fire Underwriters’ Association map, June 1912, Archives of Manitoba. “Carberry kicks off its 90th annual exhibition,” Brandon Sun, 4 July 1974, page 10. Carberry Plains - Century One: 1882-1982 by Carberry History Book Committee, 1982, page 224.